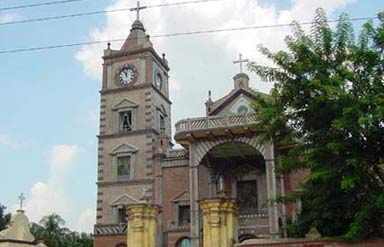 Hooghly is one of the districts of the state of West Bengal in India. It can alternatively spelled as Hoogli or Hugli which is named after the Hooghly River that flow through this place. 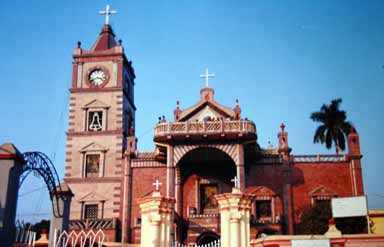 This is one of the famous tourist destinations of Kolkata tourism which is visited by scores of tourists from several parts of the globe. This is among the most vibrant district of Kolkata which has great significance for Bengalis because it is the birthplace of the eternal Bengali novelist, Sarat Chadra Chatterjee. With this it is also the sacred place where Sri Ramakrisna Paramhamsa and his consort Sarada Devi spent a major part of their life. The rich past, historical legacy and many of attractions make this place a most sought after destinations for tourists. Hooghly has thousands of years of rich heritage culture in the form of the great Bengali kingdom of Bhurshut. The first European who reaches this area was the Portuguese sailor Vasco-Da-Gama. Since them it became the major trading post of India. Because of its location several wars has been fought to have control which gifted this place with vibrant culture and several historical monuments. The name came from the Bengali word ‘bandar’ which means ‘port’. This is the relics of the Portuguese settlement in the form of the Church (Basilica) and the monastery. The present-day church and monastery was built in 1660 by Gomez De Soto on the relics of old church dated back to 1599. The church is famous for its three altars, a small organ and several tombstones which remind the glory of yesteryears. This another popular attraction of this place which is known the two storied building consisting rooms having a wide entrance main gate flanked by two huge towers measuring 80 feet tall with a massive clock tower between them. The mosque of this Imambara is adorned with texts from the Holy Koran, inlaid marble, candle and lanterns. Large number of tourists comes to this place to experience historical legacy of thebygone era. It is the most important and oldest temple of this region located on the bank of the Ganges River. In the 16th century Digambar Halder enshrined the Lingam of Shiva inside the temple and afterwards the temple was established by Sidheswar Roychodhury. Devotees and tourists come here in large number so they can get blessings. It is the village where Hindi novelist Sarath Chandra Chattopadhay was born in 1875. This village is one of the seven important villages named ‘Sapta Gram’ at the time of Mughals. The home house the great novelist with a separate drawing room is still present in the village which is visited by number of tourists. A Library named Sarat Smrithi Pathagar including a museum room contains the used things of the famous writer is also displayed here. 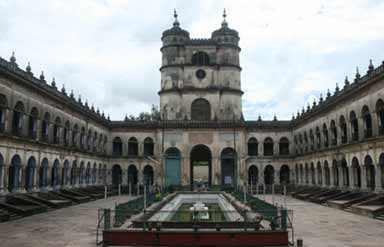 The Brindavan Jew temple in Guptipara is actually a cluster of 4 terra-cotta temples of 17th century. It is also the site of a well-known Ratha Yatra. There is another cluster of three temples Anandamoyee, Horosundari and Nistarini at Somraa. Some of the other popular attractions of this place are Joy Krishna Library, Serampore College, Lighthouse Tomb, Hangseswari Temple and Fur Furah Sharif. Hooghly can be visited round the year but the perfect time to enjoy this place is the autumn season. By Air: Netaji Subash Chandra Bose International Airport (Kolkata) is the nearest airport from this place. This airport is connected to all parts of the worlds with national and international flights. By Rail: Hooghly is well connected by rail. Chinsurah Railway Station, located in Chinsurah, the headquarters of Hooghly, is the nearest railway station. By Road : Hoogly is lying just 40 km to the north of Kolkata. It is easily accessible by road. There are regular bus services that connect it to the state capital. Hooghly has good luxury and budget hotels with splendid leisure and business facilities. 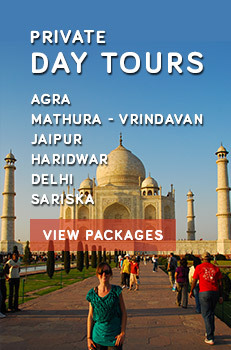 During Hooghly tour tourists can stay at many hotels, tourist Lodge, tourist hostel and tourist cottages.